Buy goatbunny a Coffee. ko-fi.com/goatbunny - Ko-fi ❤️ Where creators get paid by fans, with a 'Buy Me a Coffee' button. I'm a full time artist creating things from paintings and drawings in traditional and digital media to short animated films (digital as well as traditional using puppets). I'm also in the process of designing my own tarot deck. I collaborate with other artists to create art, books and other things! I am also available for commissions. Secured Payments. Support goes to goatbunny's account. 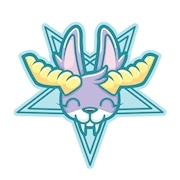 Upgrade goatbunny to a yearly Gold Membership with a one-time payment.